Stroud’s Dan Cooper is gearing up for his tenth visit to the Isle of Man TT Races in 2019 having finalised his machinery for the two Supersport races as well as the Lightweight encounter. “It’s hard to believe next year will be my tenth visit to the Isle of Man TT races as I can remember my debut in 2010 like it was yesterday,” said Cooper. “I don’t think anyone forgets their first laps of the Mountain Course on closed roads and from that moment on it’s been the focal point of my season so I’m delighted to be continuing with KW Electrical, CMS and SB Tuning in the Supersport and Lightweight classes next season. 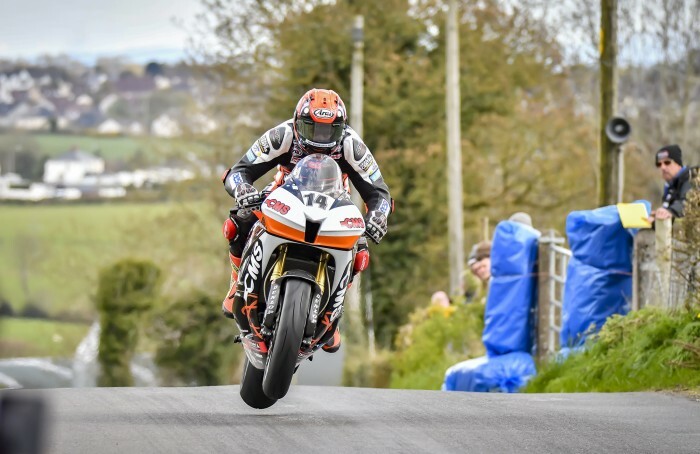 “They’ve given me my best results both at the TT and the other International road races, probably due to my stature, and with three top six finishes in the last four years in the Lightweight TT I’ll certainly be looking for more of the same in 2019. We were unlucky to retire from a similar position this year but I have a great bike, one that I really enjoy riding so I’m confident we can run at the sharp end of the leaderboard again.